Southern Wisconsin is approaching peak first generation European corn borer flight (600 DD, base 500 F). The best treatment time is usually around 800-1000 degree days. A lot of Wisconsin’s corn will not be attractive for oviposition and/or too small to support survival (< 18 inches extended leaf height). However, scouting would be suggested for those fields which are tall enough be attractive and have an extended leaf height greater than 18 inches. European corn borer populations were the lowest on record during the 2015 growing season. However, there were locally heavy and economic populations during 2016. Concentrate scouting efforts on the tallest corn in your area. 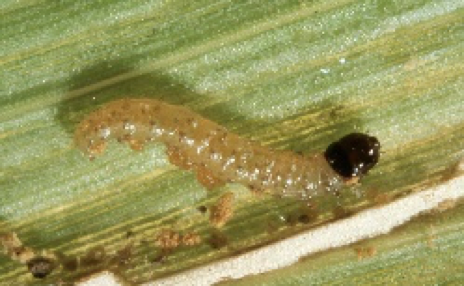 After hatching, larvae will migrate to the whorl to feed. Initial symptoms are small window-pane feeding scars that may not completely perforate the leaf. As larvae develop these holes will penetrate the leaf and appear in a random pattern. Prior to tunneling into the stalk the feeding pattern may appear as transverse holes across the leaf. To get an unbiased assessment of corn borer populations, determine % of the plants which have feeding damage by observing 10 sets of 5 consecutive plants at random across the field. Pull the whorl leaves from two damaged plants in each of the 10 sets of plants. Count the number of larvae by unrolling these leaves and divide by the number of whorls pulled (20) to determine average number of larvae/infested plant. This information will give you the baseline information needed to calculate and economic threshold. You may calculate a field specific economic threshold for first generation ECB by using the worksheet found on p. 57 of A3646, Pest Management in WI Field Crops, 2017. It is always a little dangerous to suggest treatment levels for ECB because economic thresholds vary by level of infestation, # larvae/infested plant, selling price, expected yield and applications costs. However, to give you a ballpark estimate, a field with 60% of the plants infested and an average of 1.2 larvae/plant which yields 150 bu/A and projected selling price of $3.80/bu will likely give a $27 loss/acre if your insecticide is 80% effective. 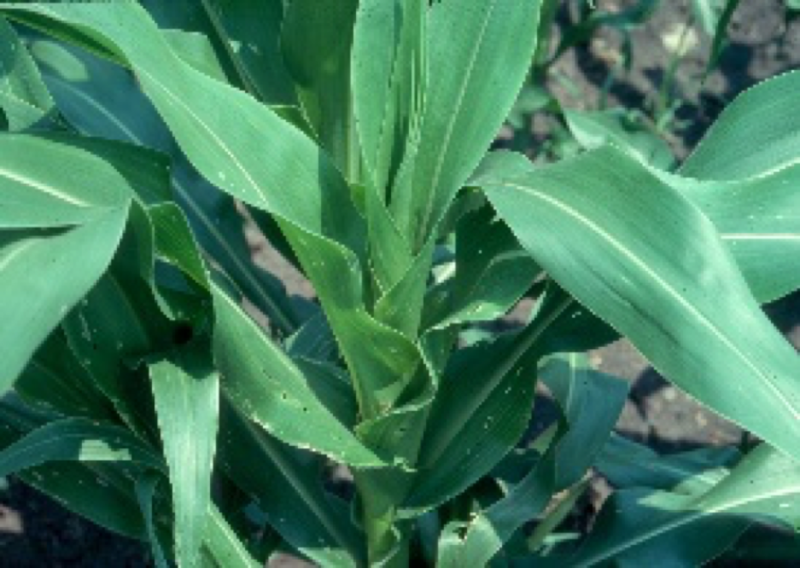 Larvae are only susceptible to insecticide applications while they are feeding within the whorl. This time period is usually in the neighborhood of 7-10 days but depends on weather.